Sid destroys the food...so he becomes the food! AH, SID! NOW WE GOTTA FIND MORE FOOD! 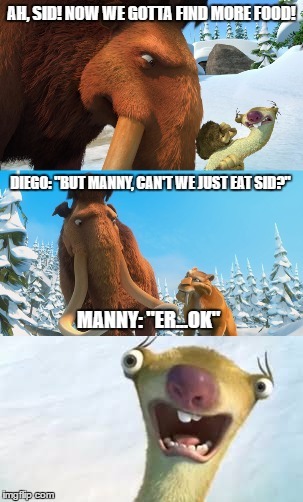 DIEGO: "BUT MANNY, CAN'T WE JUST EAT SID? "; MANNY: "ER...OK"